I talk to subject matter experts every day, and they all want one thing: More time. Some SMEs even wish they had more hours in a day. The thing is…you have enough hours in your day for RFP responses, you just need to improve your time management techniques. Ready to help your revenue team in an efficient way? Check out several techniques for speeding up your RFP response time, so you can fully support your organization’s revenue vision and move on with your day. “Running away from a problem only increases the distance from the solution.” Though anonymous, this quote may have come from a seasoned RFP responder. Let’s take a step back to understand where time management opportunities are within your RFP response process. Miss important details present in the scope and you will inevitably rewrite RFP responses. Knowing the scope upfront allows you to focus on creating informative, accurate content. The goal is to appease their evaluation team and show that your organization is the right partner. Is it appropriate for you to reach out to the issuer for clarification? Or, is your proposal manager or sales director running communications back-and-forth between you and the potential client? Figure this out. Questions will come up, and you want to get the content right during round one. Are you tracking and monitoring your response time? If not, start doing it. That way you can build a case for additional resources or technology to support you and your workload. There are plenty of time-tracking solutions out there. RFPIO even has one built into the platform. Teamwork is the name of the game. When everyone is clear on responsibilities—and who they are collaborating with—the RFP response process is more streamlined. If you don’t have a dedicated proposal manager, find out who owns the project in case you need help. From security to legal, there will be times when you call upon the subject matter expertise of people in other departments. Even when you know the questions and scope early on, unknowns appear as you craft RFP responses. Have your experts ready to be pulled in quickly. Email isn’t always the best channel since inboxes are crowded. Communication channel preferences should be agreed upon by everyone on the response management team, including you. Maybe that’s a monthly meeting or a Slack group, instead of lengthy email conversations. Responding to RFPs is an ongoing task, but occasionally other needs show up—like performing research or analyzing the market. When you are involved in a new RFP project, ask if your team requires additional information so you can get a headstart on these tasks. If you don’t understand the questions when you jump into the RFP project, you will end up in a longer review cycle later. Don’t be afraid to ask for clarification, either from your proposal manager—or sales, if you need more background about the organization you are responding to. Content audits are really helpful here—and we recommend culling your library of RFP responses once per quarter. While a proposal manager will likely own content audits, you will update any content that falls under your area of expertise to ensure accuracy. You want to have the best possible content, but it doesn’t have to be completely original. If you store common RFP responses in an answer library, you can easily grab that content and customize for the current RFP requirements and specifications. The review cycle process can be confusing with RFP responses. Know the chain-of-command so you don’t duplicate work. Your proposal manager should assign questions accordingly. However, if you notice gaps in the process that are causing confusion, speak up. Effectively managing content decreases your RFP response time. Most SMEs store responses in docs and spreadsheets, using Control+F to find the response, then copying and pasting. An answer library within RFP software is the quickest way to organize, manage, and execute. Software quality has a major impact on employee happiness. 96% said they would be more satisfied at work with access to better software. But, as we know from our RFP Response Habits survey, only 16% use RFP software. Get a response management solution in place if you don’t have one. This is one of the best time-saving tips we can offer. Providing expertise for RFP responses is a key part of your role. By contributing to the response management process, you’re showing that you care about your team, your work, and your organization. 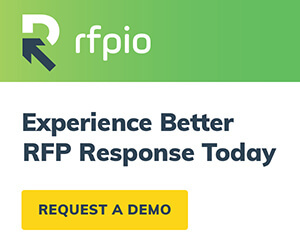 RFPIO helps subject matter experts cut their response time down by 40%-50% on average. Schedule a demo and we’ll show you more ways to save time and do your best work.